Our kennel is registered at FCI in spring 2004. Our work began with the good Stud dog. And not just excellent, but by Gloris Kiss In The Ring (XMas v.d. Havenstad x Bon Voyage v.d. 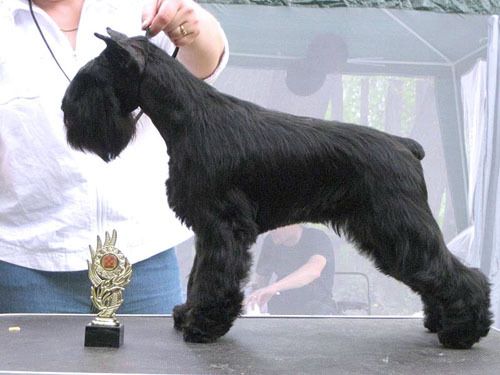 Spikke)-International Champion, Baltic Champion, 3x Euro Winner, World Winner, 3x Vice-EuroWinner, Champion of 12 Countries, BIS «Eurasia-2004 ". The famous son of the famous father. Thanks to Olga Seliverstova for this great dog! His last puppies were born December 25, 2011 year!!! First, we began to "collect" his daughters. It is Artistka iz Legendi o Borodachah (the mother of Lady s Romatnic Legendi o Borodachah) from Ukraine, from Latvia Samtroi Derora Bria (mother Samtroi Briana Katri's ), from Belarus Up-to-Date Genstat (mother Iza Dora Getnstat), from Kaliningrad Rus Pitmark Russian Revolution (mother Rus Pitmark Mia's Kosa Nostra) and keeped at the our kennel his best daughters already bearing the name "Dreamkiss" : Dreamkiss Crystal (mother Gloris Equal Sign), Dreamkiss Encore (mother Gloris Baronessa Drive), Dreamkiss Noire Perfect (her mother Matilde de Gilthov's-we brought from Spain). Thus we get the breeding foundation . From the first litter we have tried to captivate prospective puppies owners by Shows, and virtually in every litter there are asterisks. 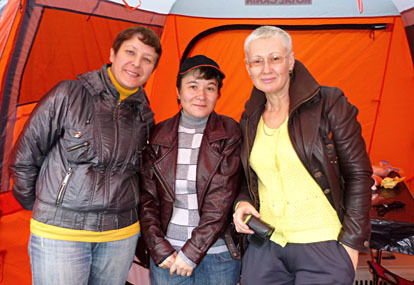 During this time, we visited many Russian and foreign Shows. 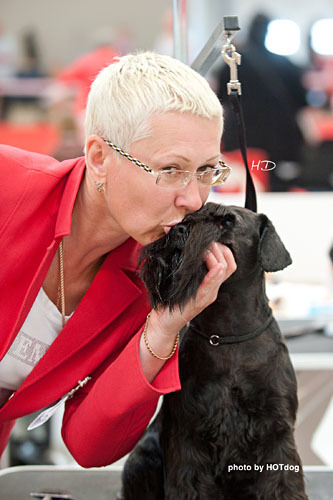 And often our dogs become winners, not only in the breed, but in the final competitions. An important step in the work of our Kennel was the acquisition from Spain Unjedi Fandango (Unjedi Stone & Jamie de Sant Roc) and from Italy Priceofprize N di Monte Gentile (Buster Keaton di Monte & Butterfly di Monte Gentile Gentile), whom have established themselves not only as beautiful Show dogs (Fandango-interchampion, Vice -World Winner 2009, Champion of 15 countries, 20xCACIB); Priceofprize-4xCACIB, Champion of 4 countries), but also as excellent producers: daughter of Fandango and Up-to-Date Genstat- Dreamkiss Your Majesty (own. 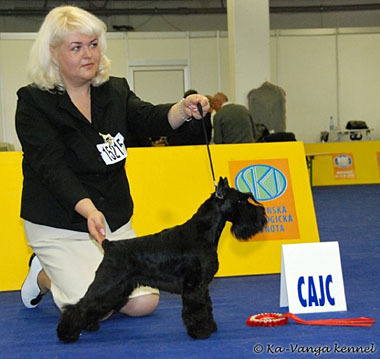 E. Žhurkova and T. Secheneva) – Junior World Winner-2008, his son by Jamayka iz Monsalvi Dreamkiss Zodiak Lion (own. I Kabina.) – Junior World Vice-Winner-2008, daughter of him and Dreamkiss Noire Perfect- Dreamkiss Heart of the Ocean (own. M. Kozitsyn)-junior European Winner-2012. 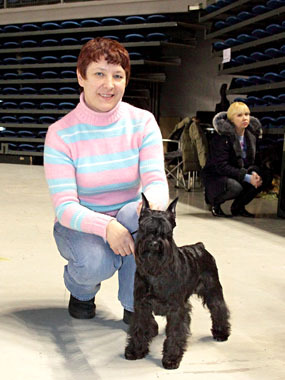 The son of Priceofprize and Rus Pitmark Russian Revolution- Dreamkiss Know-How – junior European Winner-2009, their daughter Dreamkiss Kleopatra -BIS ISPU-2012. This is the most significant victories of their numerous offsprings. And, of course, the huge success of our kennel was mating to one of the best daughters Gloris Kiss in the Ring-Interchampion, Vice-European Winner-2007, Champion of the 7 countries, 2xchampion of National Breed Club - Dreamkiss Encore with gorgeous Buster Keaton di Monte Gentile (Top-dog of Italy, Interchampion, 103xCACIB, junior European Winner-2005, Junior World Winner-2005, European Winner-2007, 2008). 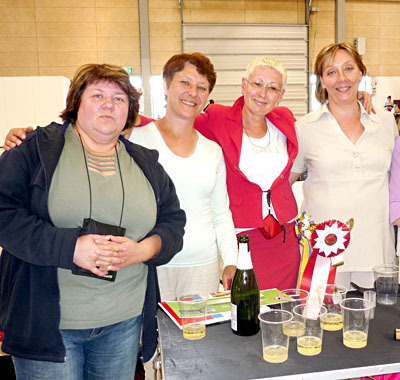 We received a truly STELLAR litter: 2 World Winners, 2 European Winners, 5 International champion. 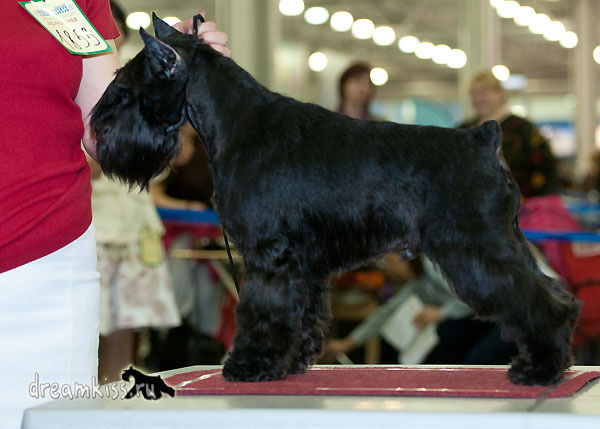 All 7 pups did a bright Show carriera, and kennel pride - Dreamkiss Trump Card – International champion, junior European Winner-2008, European Winner-2009, 2012, World Winner-2009, Top-dog RKF-2009, 36xCACIB, champion of the 16 countries, 2xchampion of National Breed Club,multi-BIS and BIG winner in the various countries. Two years later we repeated this mating. Our expectations were met once again: Dreamkiss Here I Go Again -21 x CACIB, Interchampion, champion of the 10 countries, Champion of National Breed Club, Dreamkiss Hope -Interchampion, Junior Vice-Winner of Europe-2010, Champion of National Breed Club, Dreamkiss High-Flown and Dreamkiss Honour Deal -International champions,Champions of National Breed Club. 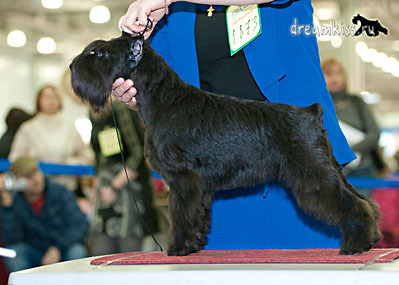 Other puppies from this litter are also very successfully shows in various countries. As time went on, around our kennel was formed the rallied collective of adherents. Not everything was easy, everything was not always smooth. Not all combinations work, yet someone was leaving, someone has come from other kennels. But today we can safely say: " We are one unit". We are Dreamkiss!!! 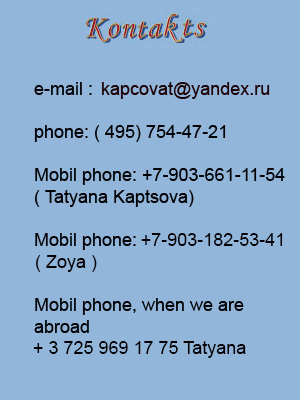 We acquired many new friends both in Russia and abroad. 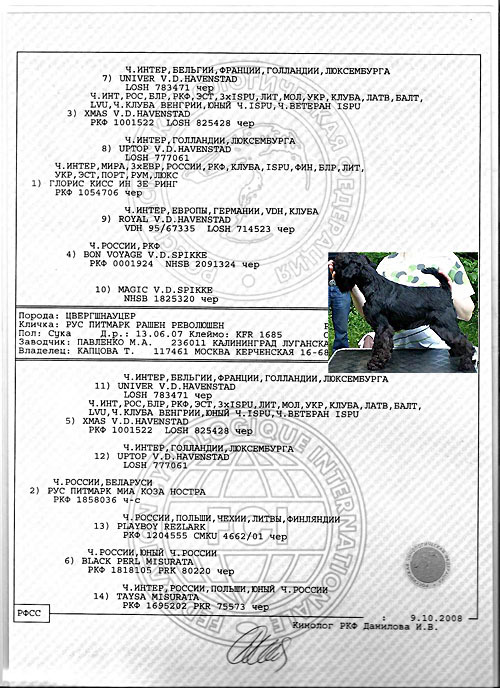 Among them are owners of known kennels: Taganrog kennel " S Taganjego Roga", Kaliningrad kennel "Iz Idillii Contrastov", Italian "Gentile di Monte", Swedish "Tinghof's", French "du Bujol", Croatian "All Lemo's" and others. 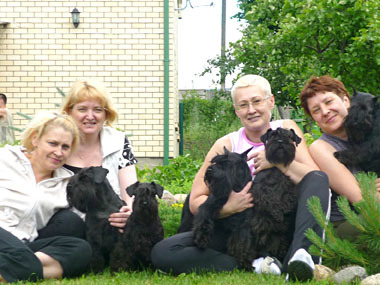 Today our dogs are recognizable both in Russia and abroad. Popular world kennels acquire with the desire of our puppies . We tried to help the new owners of our kids and heartily rejoice in their success. In conclusion we would like to say a huge thank all owners of our dogs that have become our friends. 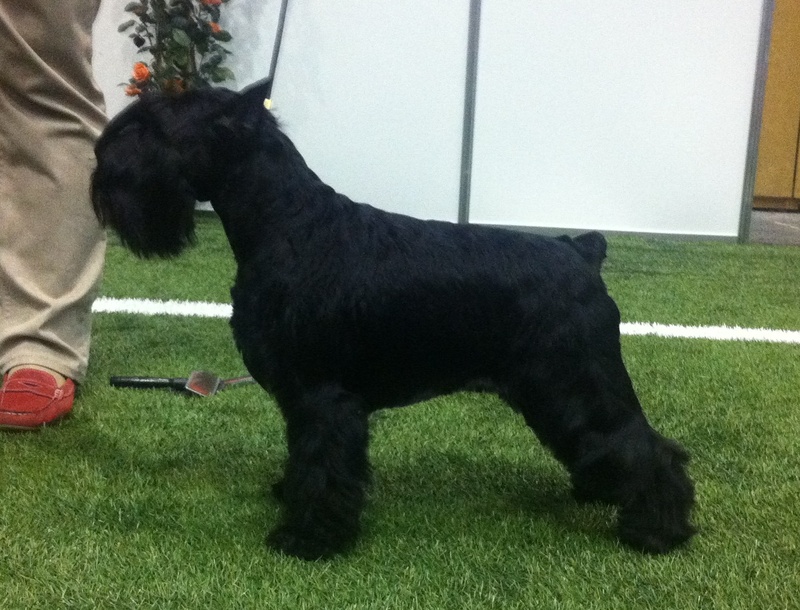 We also thank breeders of those dogs, which do not carry the prefix Dreamkiss, but are OUR dogs. We wish to express special thanks to Roberto Corteggiani and Alessandra Franko for comprehensive help, trust and a good human friendship. 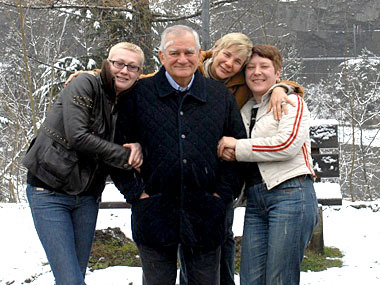 Welcome in our midst the new Dreamkiss -owners. Welcome to us!